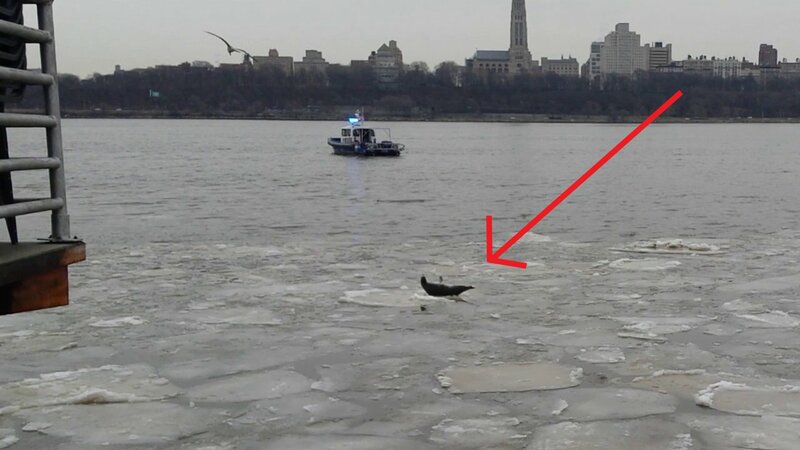 EDGEWATER, New Jersey (WABC) -- Video shows a seal hanging out on the ice on the New Jersey side of the Hudson River Monday. An Eyewitness News viewer captured the video of the seal, which was resting on a frozen portion of the river near the Old Binghampton Boat House in Edgewater. A police boat responded to the area, but the seal appeared to be OK.
Robert Schoelkopf, director of the Marine Mammal Stranding Center in Brigantine, NJ, told Eyewitness News that the seal is not stranded, and it's not hurt. It's a harp seal that lives on ice in the arctic. He said the seal is actually trying to stay away from police boat. The reason it's on the ice is that it was trying to dry off. The Marine Mammal Stranding Center has a volunteer network to help with strandings along the New Jersey coast. 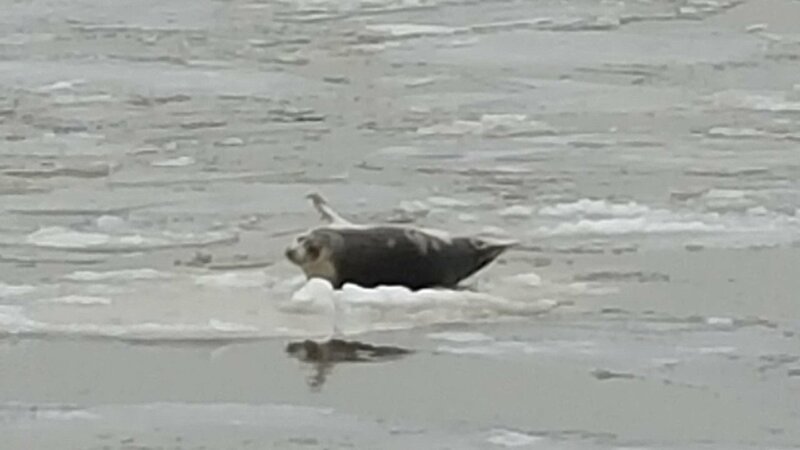 Viscovich wrote, "This seal has been hanging out right outside our office window all morning." If you capture photos or video you want to share with us, use the hashtag #abc7ny when posting on Twitter or Instagram.